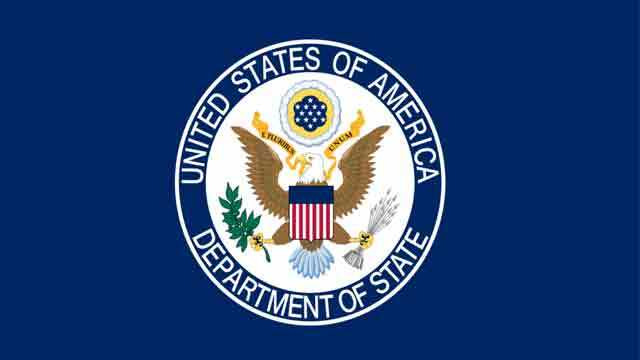 The spokesperson of the Department of State came up with this point of view in reply to a query about US ambassador Bernicat’s speech on Gazipur and Khulna city election which was full of vote rigging and irregularities. Ministers, leaders of Sheik Hasina lead government including Prime minister’s son and ICT affairs advisor Sajeeb Wazed Joy critcised US Ambassador Bernicat very undiplomatic manner. Joy said in a Facebook post on Monday that the US embassy in Dhaka “has become a mouthpiece for the BNP”. He said as usual, the Embassy officials have been spending too much time with their BNP friends. It said, “The U.S. Government has consistently advocated for a fair, transparent, and nonviolent democratic process in Bangladesh as provided in its constitution. The U.S. Government does not support any candidate or party -- we support Bangladesh and the democratic principles on which it was founded”. As reflected in the President’s National Security Strategy, America believes that free, independent, and democratic nations are the best vehicle for prosperity, human happiness, and peace. Our principles form the foundation of our most enduring alliances and partnerships, and the United States will continue to champion them, it added. In a meeting with diplomatic correspondents in Dhaka on Jun 28, Ambassador Marcia Bernicat linked free, fair and credible elections in Bangladesh with the stability of the Indo-Pacific region for which the new American administration has adopted a strategy. She highlighted Bangladesh’s democratic process and elections in Khulna and Gazipur, and indicated that stability comes through holding free, fair and credible elections. “While we commend the Khulna and Gazipur city corporation elections, the US remains concerned by reports of irregularities, including ballot box stuffing and intimidation of political players and polling agents both before and on the day of the vote,” Bernicat said. Awami League (AL) Secretary General and communication minister Obaidul Quader on Friday (29 June) warned U.S. diplomats against making any remarks that might hurt their relations with Bangladesh.